Review of Matthew S. Brown, Jeffrey M. Bradshaw, Stephen D. Ricks, and John S. Thompson, eds., Ancient Temple Worship: Proceedings of the Expound Symposium 14 May 2011 (Orem and Salt Lake City, UT: The Interpreter Foundation/Eborn Books, 2014). 293pp. 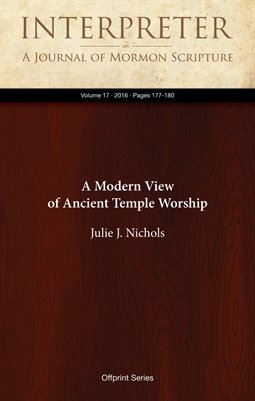 Abstract: This well-produced, noteworthy volume adds to the growing number of resources available to help make more meaningful the complex and historically rich experience of the temple.